Nothing prepared me for my first sight of the Kalaulau Valley. 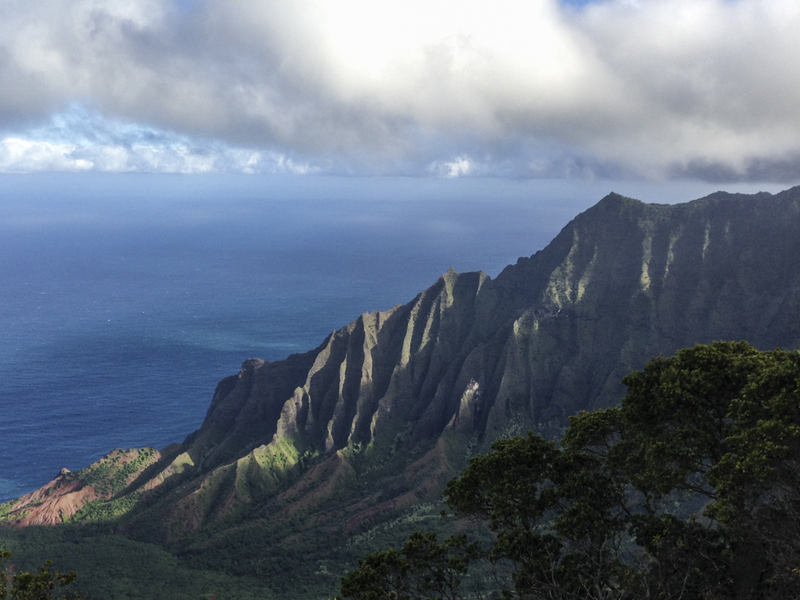 The green ribs of the Na Pali cliffs rose from the ocean with a reptilian magnificence. 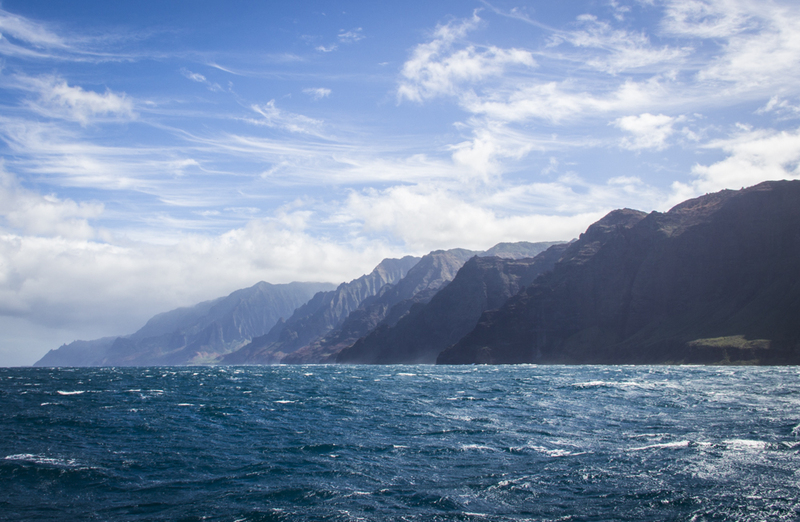 It’s easy to see why this dramatic stretch of coastline was chosen to represent Isla Nublar in Jurassic Park. 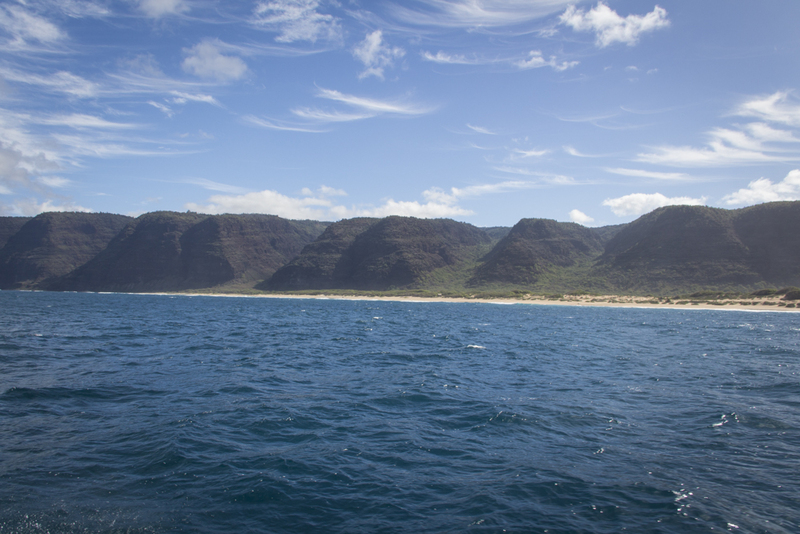 It was a stark contrast when just a few hours later I arrived at Polihale. Kaua’i’s main road almost forms a loop around the island, interrupted only by the impassable cliffs. 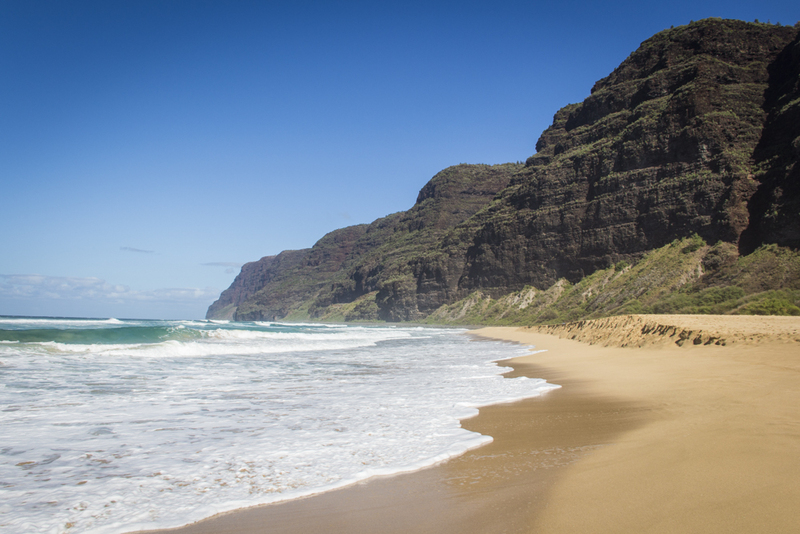 Polihale is the near-deserted beach at the Southern tip of the ring road. It’s a pothole-ridden road that I later learn is not covered under my rental car insurance policy. But it’s worth it; seven miles of golden sand and an imposing rock face on the northern end that foreshadows the even greater cliffs beyond. Not many tourists make it to Polihale, but those who do stay for the whole day. Unlike the majority of Hawaiian beaches I’ve visited, there’s nowhere to buy food or supplies, which is exactly the kind of desertion I was hoping for. The next day, from the water, the cliffs lining the coast resemble moss clinging to a corrugated roof. The Pacific, uninterrupted since Taiwan nearly 5,000 miles to the East, is battering the coast with forceful swells. Every few minutes, my peaceful resting place on a trampoline-like piece of stretched fabric over the water is interrupted by a particularly determined wave sweeping over the boat and drenching me. I can tell that lunch is nearly ready, as the aroma of hearty Kaua’i beef on the grill begins to overpower me. Despite the tumultuous water, I couldn’t be more calm. 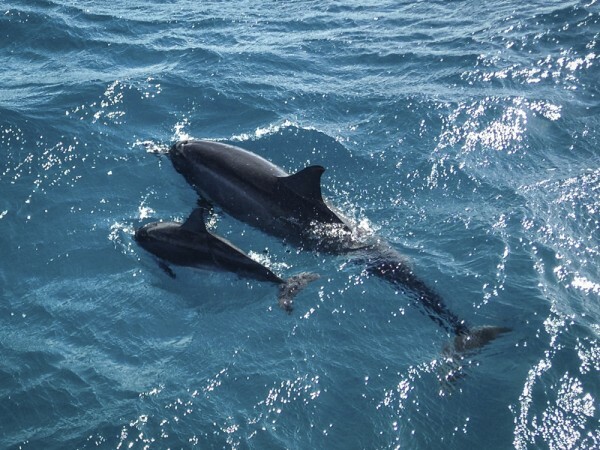 This post is an excerpt from an article I have written for the Spirit and Health edition of Destinations Magazine. All opinions are my own.